Below you can view all the townhouses for sale in the Five Points subdivision located in Denver Colorado. 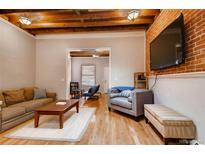 Listings in Five Points are updated daily from data we receive from the Denver multiple listing service. To learn more about any of these townhouses or to receive custom notifications when a new property is listed for sale in Five Points, give us a call at 720-729-2320. Only a mile to the Denver Zoo, City Park Golf Course and the Denver Museum of Nature and Science! MLS#8515871. Go Real Estate Company. This home has an open feel and charm! Come see today! MLS#2207811. RE/MAX ALLIANCE. This unit is a rare & unique find, offering a great lifestyle—it lives larger than a one-bedroom, resonating with the industrial and creative history of RiNo. MLS#5499956. Buildings & Residences - Denver. Whether you're looking for a home to live in or an investment, don't miss this one. MLS#8187793. Your Castle Realty LLC. Please visit the site TPTDENVER.COM. Taxes are estimated. MLS#8876047. LIV Sotheby's International Realty. Please visit the site TPTDENVER.COM. Taxes are estimated. MLS#8525863. LIV Sotheby's International Realty. Full-size washer and dryer on second floor, stackable washer and dryer in basement, and fantastic, friendly neighbors are also included. MLS#9962322. Berkshire Hathaway Home Services, Rocky Mountain R.
Also want to point out this loft comes with double pane commercial quality windows. Washer and Dyer included! MLS#6573459. The Cascade Team Real Estate, Inc.. Elevator access, underground parking and storage space included. MLS#9497865. Colorado Home Realty. Don’t miss your opportunity to own in one of Denver’s hottest neighborhoods and set up your showing for 2204 Washington Street today! MLS#7272828. LIV Sotheby's International Realty. Construction has started and scheduled to be completed Spring 2019. Taxes are estimated. MLS#4121652. LIV Sotheby's International Realty. Construction has started and scheduled to be completed Spring 2019. Taxes are estimated. MLS#3641056. LIV Sotheby's International Realty. Construction has started and scheduled to be completed Spring 2019. Taxes are estimated. MLS#7210599. LIV Sotheby's International Realty. Please visit the site TPTDENVER.COM. Taxes are estimated. MLS#4401788. LIV Sotheby's International Realty. Construction is scheduled to begin Fall of 2017 and be completed in Spring 2019. MLS#3298987. LIV Sotheby's International Realty. For more info on the overall development see website www.tptdenver.com MLS#5749085. LIV Sotheby's International Realty. For more info on the overall development see website www.tptdenver.com MLS#4725635. LIV Sotheby's International Realty. Please see the Office of Economic Development website for additional information. Delivery expected Spring 2019. MLS#8362339. LIV Sotheby's International Realty. Taxes are estimated, No HOA, please visit www.tptdenver.com now. MLS#7712410. LIV Sotheby's International Realty.